Skiing culture is more than alive. 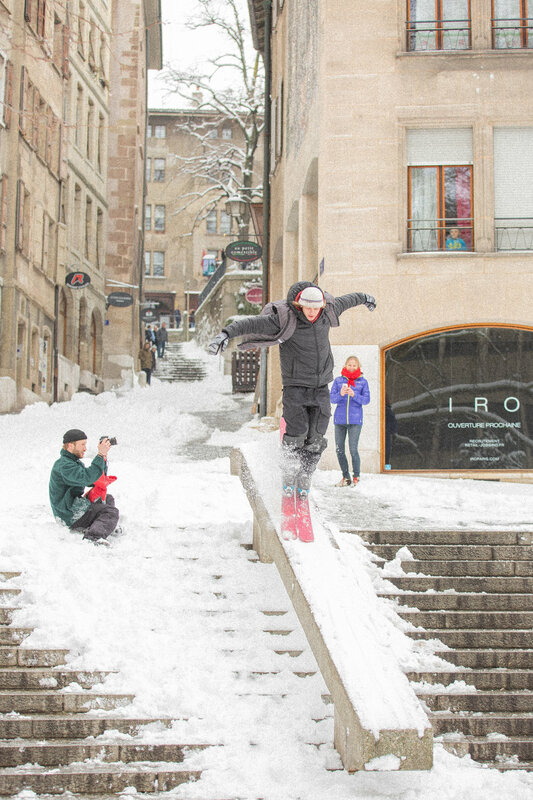 The Buldoz Boys from western Switzerland treat us with a most modern movie about skiing and fun. They not only represent the culture itself, but they shape it. Merci beaucoup les boys! Lovey Yohan’s opening part is killing everything. Giving it over to Benji with some perfect shots, even the “not filmed” 100 kink rail. Nice! By the way this Footage (08:28) is by a trespassing old French man, shot on his phone. Tripy wood part with all that artsy flavor. Flirting with experimental film - much appreciated. But hey nobody went to art school - too cool. Sampo lying out the biggest ever double backflip. And what the heck happened to Remco to become that strong? Smoking until Saturne, not only a rocket but als a saying when looking for relaxation of the mind. The Buldoz Boys live far away from a normal students life. Still manage to somehow capture their pleasure of going skiing and make it accessible for us outsiders of their crew to understand that they must have lots of happy times filming each other on skis.